The CW is turning 10 years old this fall and they will celebrate with three past sitcoms on their digital site CW Seed. 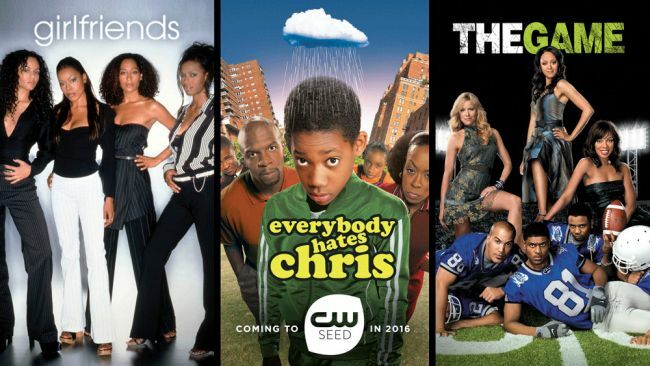 Joining CW Seed later this year are three sitcoms: Girlfriends, Everybody Hates Chris and The Game. All three series aired on The CW in 2006 when the network launched (when UPN and The WB merged). Girlfriends aired on UPN for most of its run, from 2000–06, but it aired on The CW for its last 2 seasons from 2006–08. Everybody Hates Chris aired on UPN in the 2005–2006 season and then aired on The CW for the rest of its run from 2006–2009. And The Game premiered in 2006 when The CW formed and aired from 2006-09 before getting canceled, but then BET resurrected the series from 2011-2015. Enjoy all three sitcoms on CW Seed coming very soon! For the week of Aug. 15-19, 2016, we have many current sitcom stars and past sitcom stars on TV talk shows! All times listed are Eastern. So get your DVRs (or whatever you use) ready! Ready? Here is all what you need to know for the coming week! Barbara Eden (I Dream of Jeannie) and Nick Jonas (Jonas L.A.) - Barbara and Nick will be featured on Oprah: Where Are They Now? at 10pm ET/PT on OWN. Billy Eichner (Difficult People/Parks and Recreation) - Watch Billy on a repeat of The Late Show with Stephen Colbert at 11:35pm on CBS. Julie Klausner (Difficult People) - Julie visits The Nightly Show with Larry Wilmore at 11:30pm on Comedy Central. Yakov Smirnoff (What a Country!/Night Court) - Yakov is a guest on @midnight on Comedy Central at midnight. Kate Micucci (Raising Hope/'Til Death) - Kate appears on a repeat of Conan at 11pm on TBS. Margo Martindale (The Millers) - Margo stops by LIVE! with Kelly, so check your listings. Nick Jonas (Jonas L.A.) - Nick is a guest on a repeat of The Ellen DeGeneres Show, so check your local listings. Mike Epps (Uncle Buck/Survivor's Remorse) - Mike teams up with Mario Batali to create a “VIP Plate” of Italian Piadini with Zucchini and Prosciutto on a repeat of ABC's The Chew at 1pm ET/12pm PT/CT. 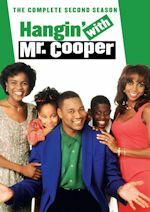 Michael Strahan (Brothers) - Michael gives Rachael the scoop on his book, Wake Up Happy and he’s pulling off a makeover on one man who’s never owned a suit on a repeat of Rachael Ray, so check your local listings. D.L. Hughley (The Hughleys) - D.L. appears on a repeat of Tavis Smiley on PBS, so check your local listings. Bryan Cranston (Malcolm in the Middle) - Catch Bryan on a repeat of The Late Show with Stephen Colbert at 11:35pm on CBS. Busy Philipps (Cougar Town) - Busy appears on a repeat of The Late Show with Stephen Colbert at 11:35pm on CBS. Maz Jobrani (The Knights of Prosperity/Better Off Ted) - Maz is a guest on @midnight on Comedy Central at midnight. Louis C.K. (Louie) - Louis appears on a repeat of Conan at 11pm on TBS. Mary Elizabeth Ellis (The Grinder/Perfect Couples/It's Always Sunny in Philadelphia) - Mary is a guest on a repeat of Conan at 11pm on TBS. Eve (Eve) - Eve appears on a repeat of The Wendy Williams Show at 12:07am on BET or on your local stations. David Schwimmer (Friends) - David and Jim Sturgis join Mario Batali to make a zesty Skirt Steak with Chipotle Mexican Corn on a repeat of ABC's The Chew at 1pm ET/12pm PT/CT. Ed Begley, Jr. (Your Family or Mine/Gary Unmarried) - Ed and his family discuss their new energy-saving home on Home & Family on Hallmark Channel at 10am ET/PT. Jazmyn Simon (Ballers) - Jazmyn visits Home & Family on Hallmark Channel at 10am ET/PT. Craig Bierko (Madman of the People/Sydney) - Craig is a guest on People Now at 8:30am. Jane Lynch (Angel from Hell) - Jane is a guest on a repeat of Tavis Smiley on PBS, so check your local listings. 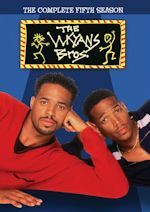 Wanda Sykes (The New Adventures of Old Christine/Wanda at Large) - Wanda appears on a repeat of The Talk on CBS at 2pm ET/1pm CT-PT. Christina Applegate (Up All Night/Samantha Who?/Married with Children) - Watch Christina on a repeat of Jimmy Kimmel Live! at 11:35pm on ABC. Kevin Hart (The Big House/Undeclared) - Kevin appears on a repeat of The Late Show with Stephen Colbert at 11:35pm on CBS. Jimmy O. Yang (Silicon Valley) and Milana Vayntrub (Other Space) - Jimmy and Milana are guests on @midnight on Comedy Central at midnight. Jodie Foster (Paper Moon/Bob & Carol & Ted & Alice) - Jodie appears on a repeat of Conan at 11pm on TBS. Queen Latifah (Living Single) - Queen Latifah drops by LIVE! with Kelly, so check your listings. David Duchovny (Californication) - David is a guest on a repeat of Rachael Ray, so check your local listings. 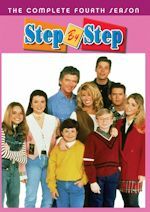 Yakov Smirnoff (What a Country!/Night Court) - Yakov visits Home & Family on Hallmark Channel at 10am ET/PT. Ellie Kemper (Unbreakable Kimmy Schmidt/The Office) - Ellie chats with the ladies of The View on a repeat on ABC at 11am ET/10am CT-PT. Melissa Rauch (The Big Bang Theory) - Melissa is a guest on a repeat of The Ellen DeGeneres Show, so check your local listings. John Krasinski (The Office) - John and the cast of The Hollars are guests on the AOL Build Show at 12:00pm. Danny McBride (Vice Principals/Eastbound & Down) - Catch Danny on a repeat of Jimmy Kimmel Live! at 11:35pm on ABC. Kathryn Hahn (Happyish/Free Agents) - Kathryn appears on a repeat of The Late Show with Stephen Colbert at 11:35pm on CBS. Bradley Cooper (Kitchen Confidential) - Bradley is a guest on a repeat of The Late Late Show with James Corden at 12:37am on CBS. He also talks about War Dogs on ABC's Good Morning America sometime between 7-9am. Tracee Ellis Ross (black-ish/Girlfriends) - Tracee appears on a repeat of Conan at 11pm on TBS. Anna Chlumsky (Veep) - Anna visits LIVE! with Kelly, so check your listings. Bob Saget (Full House/How I Met Your Mother) - Bob appears on a repeat of The Meredith Vieira Show, so check your local listings. 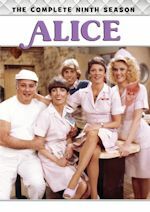 Brooke Shields (Suddenly Susan) - Brooke joins Michael Symon to make a irresistible Crispy Fish Tacos on a repeat of ABC's The Chew at 1pm ET/12pm PT/CT. Christopher Meloni (Surviving Jack/The Fanelli Boys) - Christopher chats with the ladies of The View on a repeat on ABC at 11am ET/10am CT-PT. Laura Marano (Austin & Ally/Back to You) - Laura performs live for the People Now Concert Series at 8:30am. Sabrina Carpenter (Girl Meets World) - Sabrina is a guest on People Now at 8:30am. Lily Tomlin (Grace and Frankie/Malibu Country) and Jane Fonda (Grace and Frankie) - Watch Lily and Jane on a repeat of The Late Late Show with James Corden at 12:37am on CBS. Anthony Anderson (black-ish/Guys with Kids/All About the Andersons) - Anthony is a guest on a repeat of The Late Late Show with James Corden at 12:37am on CBS. Eric Andre (Man Seeking Woman/Don't Trust the B---- in Apartment 23) - Eric is a guest on Chelsea on Netflix. Lizzy Caplan (Party Down/The Class) - Lizzy stops by LIVE! with Kelly, so check your listings. Ray Romano (Everybody Loves Raymond) - Ray appears on a repeat of The Ellen DeGeneres Show, so check your local listings. Cheryl Hines (Curb Your Enthusiasm/Suburgatory) - Cheryl is a guest on a repeat of The Meredith Vieira Show, so check your local listings. Rob Schneider (Rob/Men Behaving Badly) - Rob appears on a repeat of The Meredith Vieira Show, so check your local listings. Ana Ortiz (A.U.S.A./Kristin) - Ana and and Roslyn Sanchez join Clinton Kelly in the kitchen to make Grilled Swordfish with Fresh Herbs on a repeat of ABC's The Chew at 1pm ET/12pm PT/CT. Laura Marano (Austin & Ally/Back to You) - Laura performs on an encore presentation of the People Now Concert Series at 8:30am. Christina Milian (Grandfathered) - Christina is a guest on a repeat of Steve Harvey, so check your local listings.